With silver wings and a golden diadem, Selene shone brightly throughout the lands of ancient Greece. The goddess of the moon, Selene captivated the hearts of ancient poets, authors, and orators, becoming as much a symbol of the glorious night as the proverbial light in the darkness. The daughter of the Titans Hyperion and Theia, Selene was the original and principal moon goddess in early ancient Greek mythology. Also known by the epithets Phoebe (not to be confused with her aunt Phoebe) and Mene, Selene was considered by the ancient Greeks to be the physical personification of the moon, not merely the symbol or emblem of it. Like every celestial goddess, there was a yin to Selene's yang; In this case, there were two yins. The moon goddess Selene had two siblings—the sun and the dawn, also known as Helios and Eos respectively. While Selene was known for pulling the moon across the sky in her silver chariot drawn by two beautiful, long-haired horses (sometimes oxen or bulls), Selene's brother Helios drew the sun across the sky in his fiery chariot. Eos, in her own way, melded the two, blending her brother's and her sister's duties in the beautiful sunrise of dawn. The earliest depictions of Selene date back to the fifth century BC and illustrate her trip across the sky transforming the golden day into the silvery night. The most popular story for which Selene is known is that of her "relationship", if it can be called such, with the human Endymion. The tale of Selene and Endymion has unknown origins, though it is believed to stem from Apollonius of Rhodes' Argonautica, or The Voyage of the Argo . 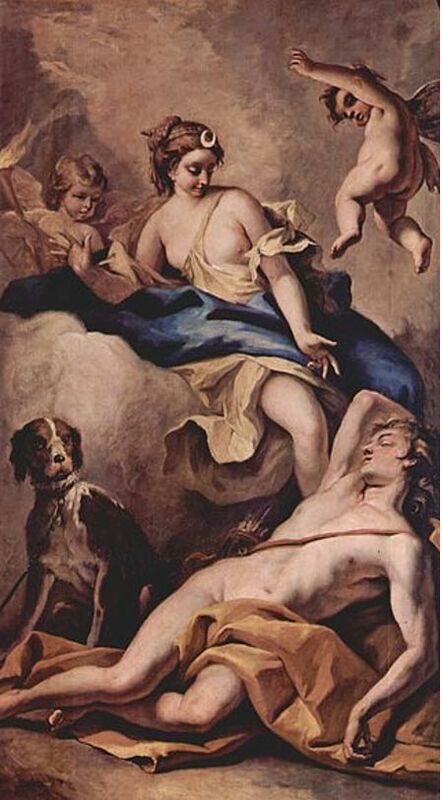 However, there are numerous other references to Selene and Endymion's tale in various ancient texts— The Homeric Hymns, especially along with Quintus of Smyrna's The Fall of Troy and, most appropriately, the poems of the ancient female Greek poet named Sappho, who quite enjoyed retelling romances. Endymion, as the tales go, was a mortal shepherd who lived on Mount Latmos in Greece. It is said that he was the grandson of Zeus, and that Zeus offered Endymion the gift of choosing when he would die. Endymion famously responded that he would remain ageless and deathless, thus he was placed under an eternal sleep. Now, despite the numerous references to Endymion and Selene, it is unknown for certain if Zeus was the reason he slept for eternity. There were authors who believed he slumbered for other reasons: for instance, Cicero, the Roman orator, believed it was so that Selene could lay him while he was slept—and she did, every night. Like all ancient Greek myth, the tale of Selene and Endymion passed orally for so many generations, that numerous variations have cropped up throughout history and not all could be properly recorded. The myth in which Zeus is responsible for Endymion's sleep, however, is the most widespread version today. Selene, for her part, could also only supposedly touch Endymion when he was asleep because of this spell. As the goddess of the moon, this could have been a metaphor for normal human affairs, yet it played nicely into the tale of Zeus' fault in Endymion's condition. Regardless, it is said that Selene loved Endymion endlessly and that she even passed the task of ending the night onto her brother for a while. (Yet Helios, being inexperienced, made the nights too short sometimes and brought the dawn too late others.) Eventually, Selene bore Endymion many children—ranging from just a few to as many as fifty, and the mortal beauty Narcissus (the man cursed to love only himself) is sometimes attributed to them. However Endymion, despite the prevalence of his myth, was not Selene's one and only love. In Greek mythology, there rarely is such a thing. Selene was also reputed to have had affairs with many other Greek gods, not the least of whom was Zeus. In legend she was said to have borne him a daughter named Pandia, and possibly another as well—this one a nymph named Nemea. Selene also slept with the famous satyr Pan according to the Roman author Virgil. However, Pan was sometimes considered to be an epithet for Endymion because of Endymion’s title as shepherd. Selene was said to have even had four children with her brother Helios (not uncommon in the Greek religion) known as the Horae, or the seasons. Selene, Greek goddess of the moon, in a flying chariot drawn by two white horses. She and her brother Helius, the god of the sun, often frame mythical scenes, giving an indication of the passage of time. Because both the Sun and Moon affect the temperature of the air, pestilential diseases and death are attributed to them. This file comes from Wellcome Images , a website operated by Wellcome Trust, a global charitable foundation based in the United Kingdom . 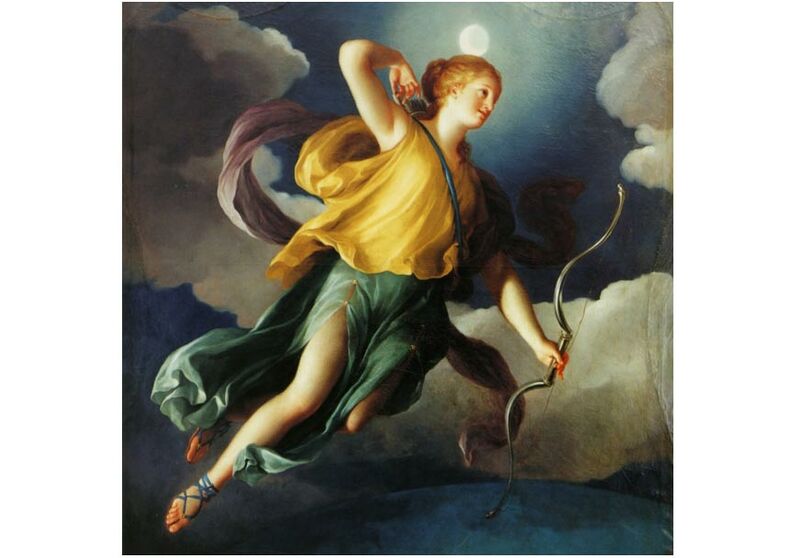 As time passed and the Archaic Period of Greece became the Early Classical, Selene slowly came to be replaced by the younger Greek goddess Artemis, twin of Apollo. It was not long before Artemis took over the role of moon goddess, just as Apollo ultimately took over the sun from Helios. Though Selene was never forgotten, by the Classical Period (fifth to fourth century BCE) she was frequently interchanged with Artemis until she passed into the old generation of usurped Titans. As the dawn of change approached, so the lady of the moon and the night waned. Just a small note of interest, but the moon is considered yin and the sun is yang. So just to have the metaphor you used fit in a better manner, it would really be better if you changed it around. It's really just very, very strange for a person who's grown up with yin and yang concepts to read the moon referred to as yang and the sun as yin. Aliens on sale! Memorial Day sale - Check out these discounted alien and UFO books!